Ah, getting into fast 50’s now, lenses such as these are simple optical formulas designed to be cheap to make, easy to get right, and small enough to be pocketable. Speaking of pocketable, the 50mm f/1.8 E really is a tiny lens. For perspective, the rear cap for it is almost as long as the lens itself! Anyways, instead of doing what is essentially a “second” impressions for this lens, I’m going to link you all to a previous post (click here) with pictures taken with the 50mm E, a little “micro” photo-walk I took a while back on campus. It’s micro because I only really walked around about 300 feet. 🙂 I was just lazy that day. If you all insist though, for my impressions of the lens now: even with its quirks and limitations, the 50mm E is a good performer. 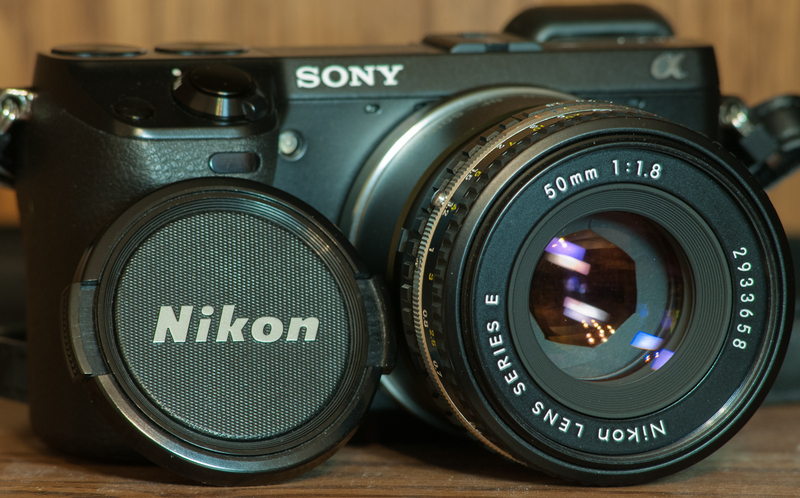 Since it is the smallest and lightest lens I’ve ever used or seen, I will probably still keep it for a compact walk-around kit even if I get a better fast 50 (Nikkor 50mm f/1.2 AI-s, anyone?). If you ever have the chance test the Sony 50mm for the E-Mount. It is cheap, bright and has IS. Gives you another 2-3 stops in the dark.